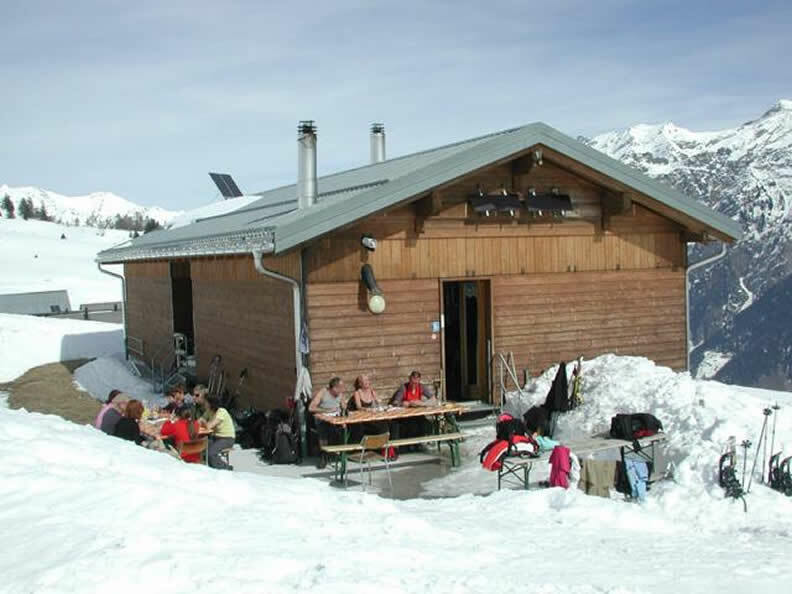 The first hut was built of wood in 1965, then replaced in 2000 with the present building in brick and wood, on two floors, full kitchen, dining room, bathroom and shower modern and functional. The view from the cabin is spectacular over the Adula and across the valley floor. 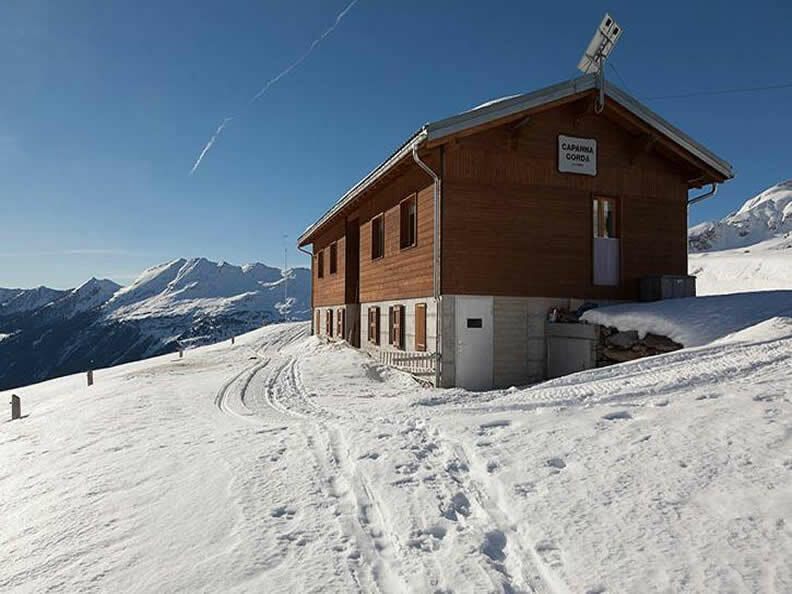 Since 2009, the hut is also equipped with a wind power plant. 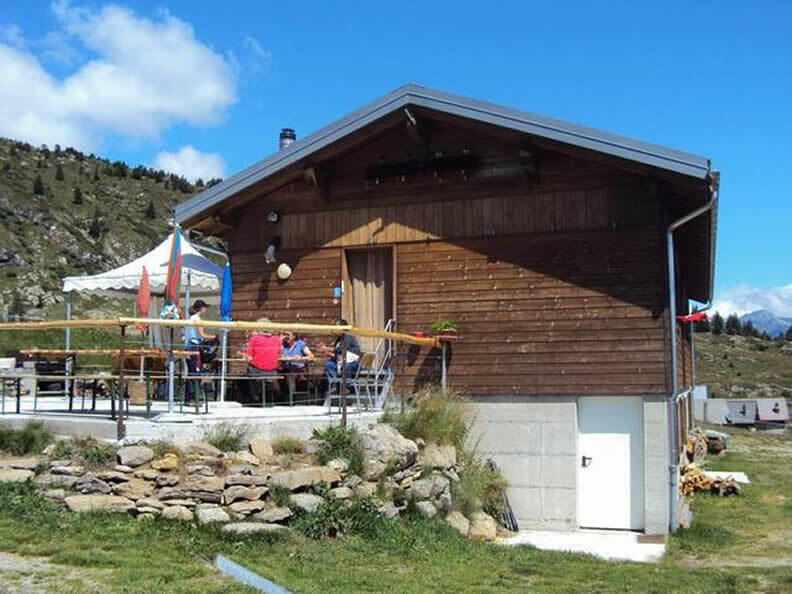 You can reach the hut Gorda by road. From there you can do several beautiful hikes. For those unfamiliar with the area, obtain the map of the place (national map Olivone 1253) or ask the appropriate maps at the Tourist Office in Olivone. The new path that leads from Gorda to Nara arrives at the Nara 2nd station of the chairlift. June-October: the presence of the guardian is only on agreement, cooking individually is possible. Drinks partly also in the absence of the guardian. From Camperio: 2.30h from Aquila: 3h from Fontanedo: 30 min.